It’s Friday, which means it’s time for another Destiny Xur location and item post here on PlayStation LifeStyle. This weekend players can spend 23 coins on the Hard Light auto rifle. Hunters can grab the Mask of the Third Man helmet, Titans can pick up the Crest of Alpha Lupi chest armor, and Warlocks can purchase the Skull of Dire Ahamkara helmet for 13 coins each. Xur is also selling Exotic Legacy Heavy Weapon Engrams for 29 coins. Xur is also stocked up on a Monte Carlo and Superspy bundle, as well as a Red Death and Steel Witch bundle, with each costing 30 coins and 25 silver dust. 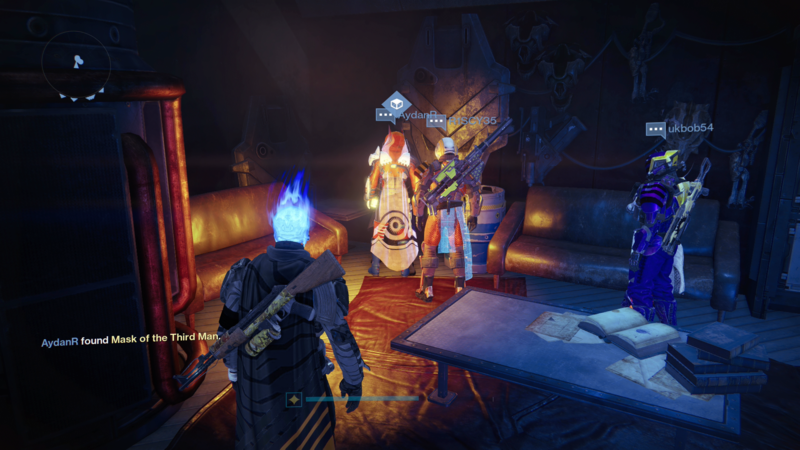 For this week, Xur – Agent of the Nine can be found in the Tower Hangar bar area.